Many insurance providers in Canada offer personal health coverage, including comprehensive, standard, and basic plans. There are plans that are tailored to different target groups, including employees, self-employed individuals, retired, those between jobs, etc. The cost of private health care has increased drastically during the last 4 decades. The main reasons are inflation and population growth. For these and other reasons, the cost of private health care has grown by more than 220 percent since the 1980s. This means that private health care costs about $1,800 a year in Canada. Basic plans usually cover prescription drugs, doctor's visits, emergency care, and mobility equipment. There are exclusions such as over-the-counter medications, vitamins and supplements, contraceptives, etc. Standard plans cover more services and aids, including contraceptives and smoking cessation aids. Comprehensive or extended plans offer coverage for doctor's visits, emergency medical services, prescription drugs, corrective eye surgery, sunglasses, prescription eyeglasses, and more. Comprehensive plans cover the cost of massage therapy, child psychology, podiatry and chiropody, chiropractic, acupuncture, as well as physiotherapy and speech therapy. The maximum per visit varies from one provider to another. 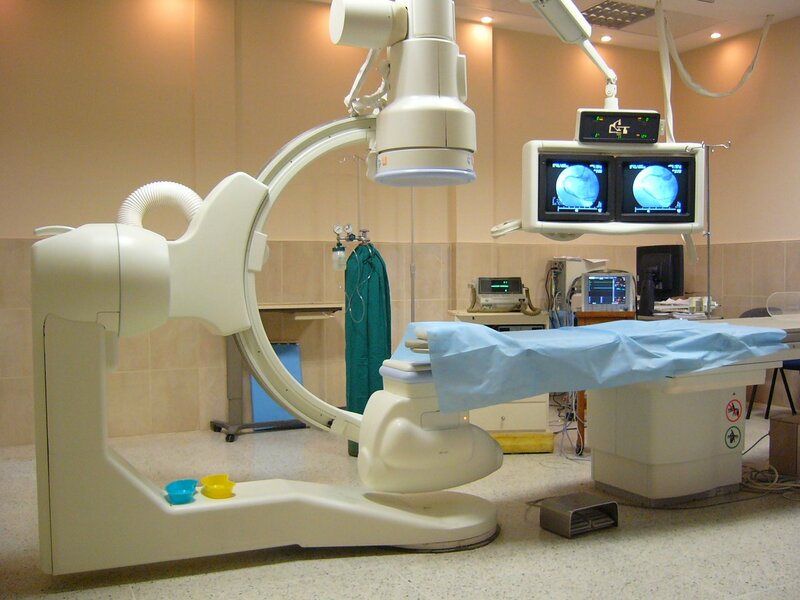 Health equipment and supplies are also covered, for example, shoulder immobilizers, air casts, and rib belts. In addition, extended plans also offer coverage for mobility aids such as transfer benches, safety rails, grab bars, raised toilet seats, and canes. Again, there is a set limit per year, which varies by provider. Some plans also cover the cost of adjustable beds, motorized scooters, and wheelchairs provided that the latter are ordered by a specialist or physician. Diabetic equipment, aids, and supplies such as testing devices are also covered and so are blood pressure monitors. Finally, some comprehensive plans offer coverage for out of province services, including ambulance, hospital, laboratory, radiology, anaesthetic, and physician services. The same goes for the cost of emergency transportation provided that services and treatment are not available in the patient's territory or province of residence. Some types of coverage also include dental plans, including orthodontic services and restorative and preventive dental care. Supplemental health plans are also available. Some plans offer coverage in case of medical emergency, including travel emergency. The list of benefits is quite long, from child care, return of vehicle, and return of remains to remote evacuation, air and road ambulance, and private duty nursing. Other services include out-patient treatment, diagnostic and physician services, and in-hospital treatment. There are many personal health insurance providers in Canada, including GMS, Blue Cross, Sun Life Financial, Great-West Life. Sun Life Financial, features enhanced, standard, and basic plans that offer coverage for medical equipment, physician services, emergency medical services, and prescription drugs. Applicants qualify provided that they have provincial coverage and are Canadian residents. Residents of Quebec qualify provided that they have group drug coverage through RAMQ, an association, order, or employer. Blue Cross also offers personal health insurance, but the benefits and coverage vary by province. Residents of British Columbia, for example, are offered dental and health coverage, including accidental death, medical supplies and services, private duty nursing, local ambulance, and hospital services and accommodation. Benefits also include services by registered physicians and therapists as well as survivor and final expense benefits. GMS is another provider that offers basic, extended, and comprehensive plans for medical emergencies and health care services, including in-home palliative care, in-hospital nursing, and more. Great-West Life is yet another private health insurance provider that offers individual plans and coverage for prescription medications, hospital care, ambulance and paramedic services, vision and dental care, and more. The healthcare system in Ontario is well developed and offers services and programs to patients of different ages. At the same time, the public system faces problems such as long wait times, low doctor-patient ratio, and rising costs. The Ontario Medical Services Insurance Plan is the first healthcare plan that was enacted by the provincial government in 1966. The government enacted the Ontario Health Services Insurance Plan 3 years later. The plan receives federal funding but is run at the provincial level. OHIP is partially funded by the federal government and by taxes paid by employees and employers and provincial tax. Hospitals receive funding from the provincial government. One of the main problems that the provincial government faces is the rising cost of running a publicly funded healthcare system. In terms of increase in spending, there are only two provinces that rank higher – British Columbia and Alberta. A number of factors contribute to rising costs, among which drug coverage, medical advances and technology, inflation, and population aging and other demographic factors. Decisions made by hospitals and healthcare professionals also contribute to rising costs. Another problem is long wait times for services and medical procedures, including MRI scans, heart bypass grafts, cataract surgery, joint replacement, etc. Access to specialized and primary care is also a problem that waits for solution. The doctor-to-patient ratio is 3.5 in Australia, 3.0 in Belgium, and 3.65 in Denmark. In comparison, the ratio is just 1.76 in Ontario and 2.5 in Canada. Canada lags behind countries such as Bulgaria (3.99), Israel (3.58), Kazakhstan (3,27), and Latvia (3.21). Canadian citizens, permanent residents, and certain categories of immigrants qualify for a health card. Canadian citizens, for example, are asked to present documents such as Registered Indian Record, birth certificate, Canadian passport, etc. For permanent residents the list of documents includes record of landing, confirmation of permanent residence, and permanent resident card. There are other documents to present, depending on one's immigration status – temporary resident, protected person, refugee, etc. To be eligible for a health card, applicants are also asked to present proof of residence, whether lease or mortgage agreement, employer record, original utility bill, driver's license, property tax bill, or insurance policy. Finally, applicants are also asked to show proof of identity, which can be in the form of union or student ID card, employee ID card, confirmation of permanent residence, or Ontario photo card. There are two ways to apply for a health card, either by booking an appointment or by visiting a ServiceOntario Centre. The Ontario Health Services Insurance Plan provides coverage for foot and eye health services, dental surgery, hospital stays, doctor's visits, medical care, and more. Covered services include ambulance transportation, nursing services, some medications for out-of-province patients, and medications for residents. Certain dental surgeries are covered, including procedures such as tooth removal, reconstructive surgeries, and tumor removal. The same goes for eye-health services. Covered conditions include corneal disease, retinal disease, glaucoma, and optic pathway disease, among others. There are exclusions as well, for example, cosmetic and laser eye surgery, contact lenses and eyeglasses, and medications that are prescribed by general practitioners. Samantha from Life on credit also writes about credit and insurance.